In addition to the mallow and wafer ranges, OP also has a chocolate bar moulding facility. 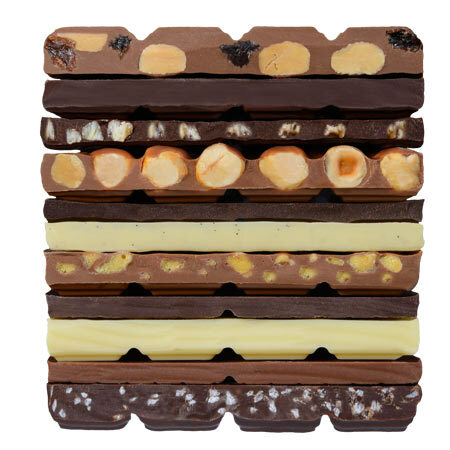 This encompasses a full range of chocolate bars available in a flow-wrap format. We have the ability to create most chocolate recipes to meet markets demands. We can offer Rainforest Alliance, Fair Trade certified and organic recipes for our chocolate bars. Various bar weights are possible and are available in milk, plain, white and dark chocolate. We can offer inclusions such as; Fruit and nut, vanilla flecks, mint crisp, honeycomb etc.